The days of "reactive product dump" sales pitches are almost a thing of the past. Financial professionals must add true consultative value and become a proactive trusted advisor if they hope to compete and win. No matter the client size or type (governments, corporate, commercial, institutional, high-net-worth and affluent) all demand an advice-based relationship with their financial provider. 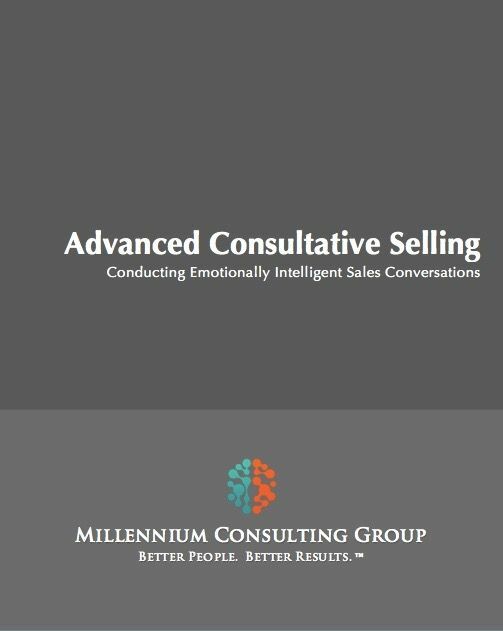 Our Advanced Consultative Selling program is designed to provide the perfect foundation for a world-class consultative sales experience. This program was designed to introduce participants to the most effective best-practices associated with each phase of the process. The step-by-step approach presented is easy to understand, easy to implement and packed with practical techniques and tools.